This chilly winter weather has us thinking back on some of the fun we had before the snows hit. 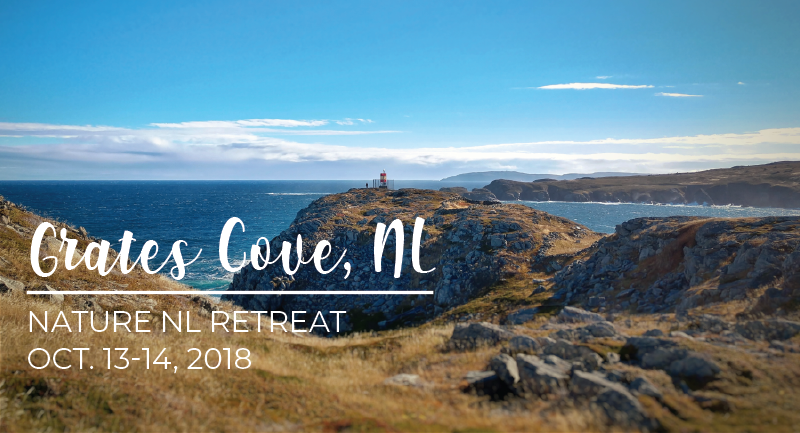 This October, as a thank-you to our valued members who make all of our programming and educational activities possible, we organized a members-only weekend retreat to Grates Cove, NL. We chose Grates Cove because its remoteness, rugged beauty, and the ingenuity of this community’s adaptation to both the natural landscape and changing lifeways of Newfoundland and Labrador inspire us to get out and celebrate both our province’s natural heritage and our role within it. Grates Cove is the northernmost community on the Avalon Peninsula, located at the tip of the Bay de Verde Peninsula and situated in the eastern hyper-oceanic barrens ecoregion. This ecoregion is restricted to several isolate localities in Newfoundland and is characterized by extensive carpets of heath with diverse lichen, moss, and ground plant communities. In the fall, the entire landscape seems ripe with edible bounties of berries. 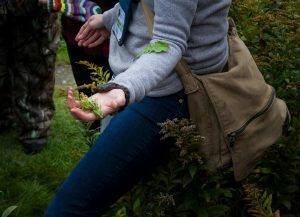 Join Lori McCarthy (Cod Sounds) and NatureNL on a foraging hike – September 29th, 2018. We will head onto the Sugarloaf Path, a scenic coastal hike with views of Quidi Vidi Village. 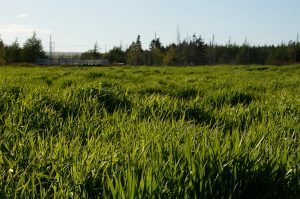 Along the way we will share the wild edible plants that have helped make our Province a culinary destination. Enjoy some wild tea with homemade tea buns and local preserves. Meet at the Sugarloaf Path trailhead on Saturday, September 29th at 9 AM. The cost is $50.00 for NatureNL members, $70.00 for non-members. Catherine Barrett and Alison Mews will lead a birding walk for Nature NL through Bidgood Park in The Goulds (St. John’s) on Sunday September 17th 2017, 8am – approximately 930am. Join us for this fall birding walk with an experienced and engaging birder. We will meet at the Northwest corner of the park in the gravel parking lot on the left-hand side of Power’s road (from the turnoff on Backline Road). On the park map below, this is the secondary entrance parking lot, #4 on the map. We’ll hope to see many different species of warblers as they migrate south for the winter. Please dress very warmly as it is likely to be quite chilly in the morning. This event will proceed rain or shine. Bring binoculars if you own them (several pairs will be available to borrow if you do not have any). Please note that washrooms are not available at Bidgood’s Park. The trail is wheelchair accessible. Postponed to Sat Feb 18th! A winter walk in the country with members of Nature Newfoundland and Labrador. Traditionally, Nature NL annually leads a winter field trip on snowshoes–when conditions are suitable. This year, we plan a trip to practice our ability to identify animals by their tracks (mammals and birds) and trees and shrubs by their leaf-bud patterns using keys and guides. Meet: Parking area off Old Broad Cove Road about 1.3 km west of Portugal Cove Road, across from Maggies Place, next to the community mailbox location. Rating and description: About 4-5 km, 1-1.5 hours, of good, easy trails. Comments: Quads and snow machines have been using some of the trails we plan to follow but other trails have only had few snowshoers or skiers since late January snow falls. At the time of writing, snowshoes would be an asset but hiking boots with ice grippers are suitable. That could change, given our unpredictable weather. Dress for the weather. You may wish to carry snacks, water or a hot beverage. We will take a short rest break.